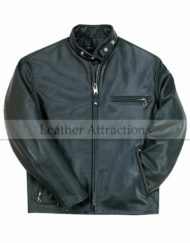 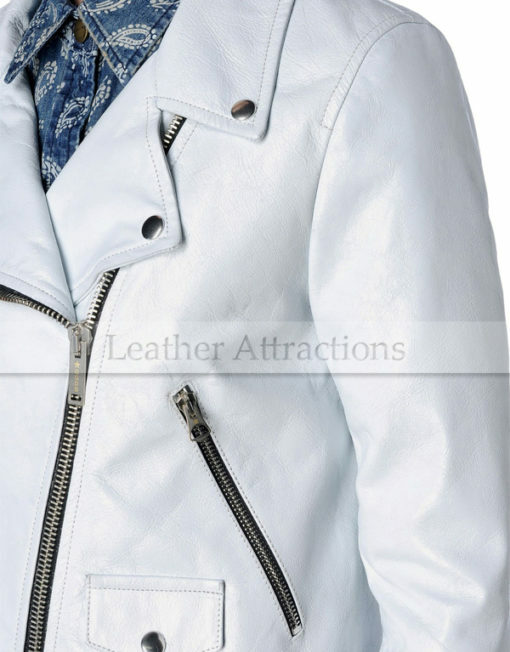 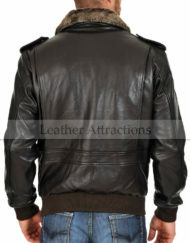 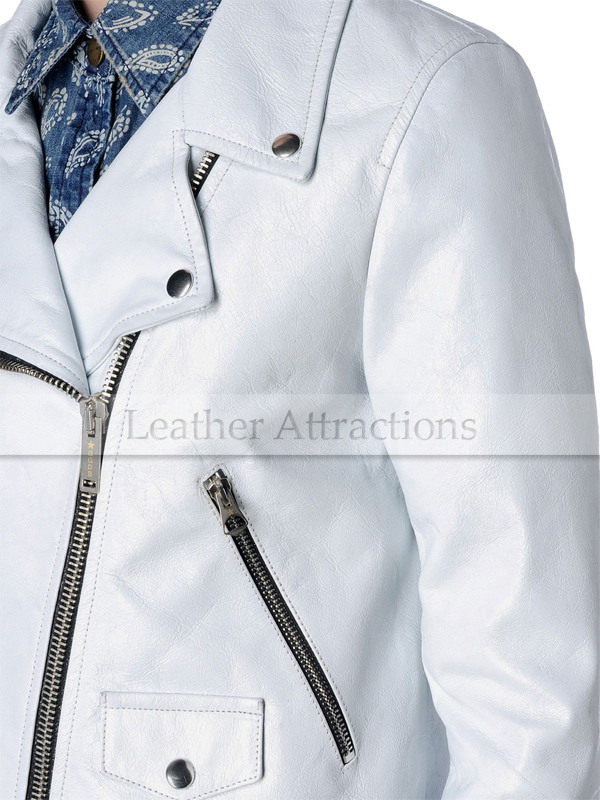 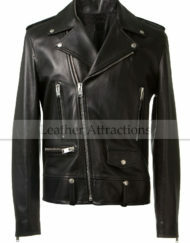 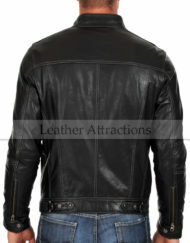 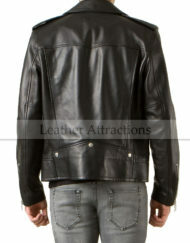 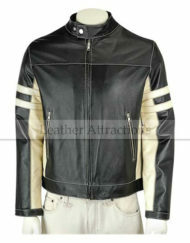 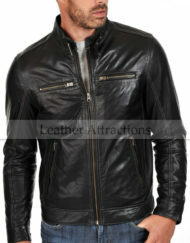 Man's white biker leather jacket is a classic design for motorcyclist who love to wear biker clothing in a unique color. 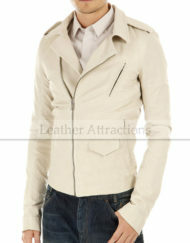 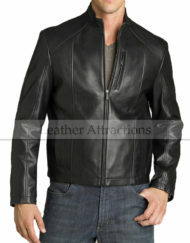 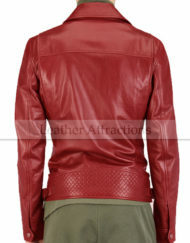 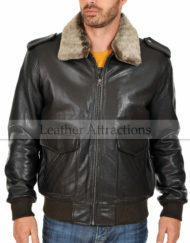 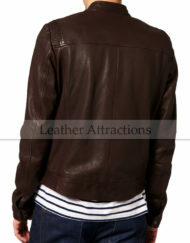 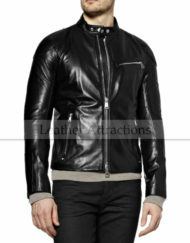 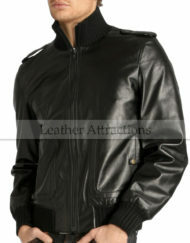 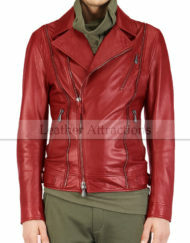 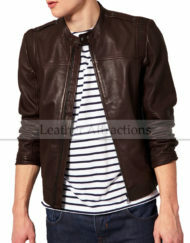 This timeless jacket is crafted with 100% genuine lamb leather to make it extra comfortable and lightweight. 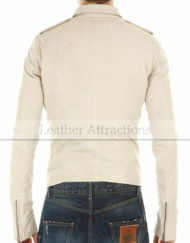 Stitching and paneled detail at back makes it more attractive. 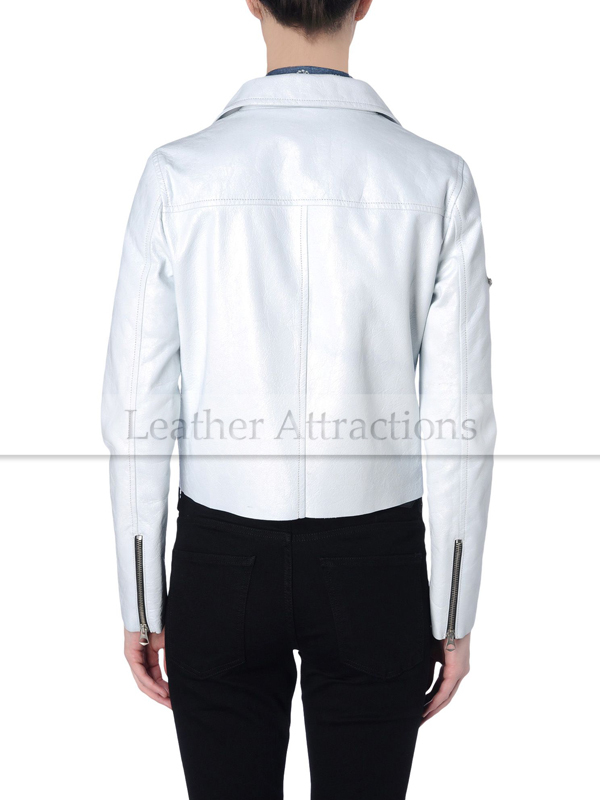 Zippered cuffs with a slant zipper pocket at upper right arm that punctuates the sleeves. 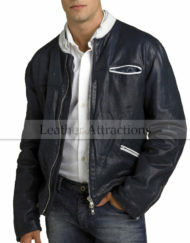 3 front zipper pockets with one mini flap pocket accent the front of the jacket. 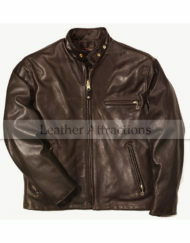 Made with soft sheep Napa leather. 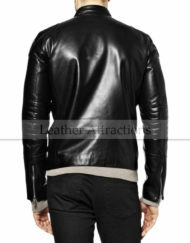 About 26″ length from shoulder to hem at back.